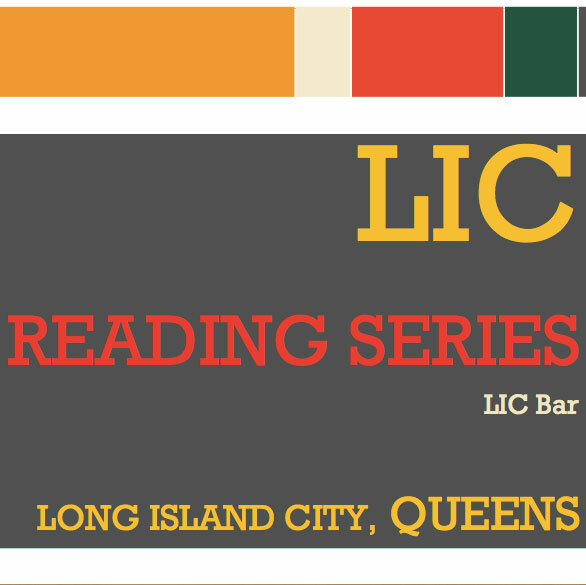 The LIC Reading Series was named for its Queens neighborhood – the series takes place on the second Tuesday of every month in the LIC Bar in Long Island City, Queens. Catherine LaSota is the Founder, Curator, and Host of the LIC Reading Series. The series features primarily fiction writers, as well as poets and essayists/memoirists. We try to feature at least one writer each month who lives in, writes about, or otherwise has a special connection to Queens, but this is by no means a requirement of all of our featured readers. We have three readers every month. The format is: two readers, then an intermission, then our final reader, and we conclude with a panel discussion. Currently, the LIC Reading Series is curated predominantly with solicited material. The LIC Reading Series was launched in April 2015 because most of the high profile reading series in NYC seemed to be taking place in Manhattan and Brooklyn, despite the strong writing community in Queens. The goal was to have a monthly event in this borough that would feature bestselling and critically-acclaimed writers, with a special focus on Queens in the selection of writers and the format of the series. Past and upcoming featured writers include: Victor LaValle, Megan Abbott, Matthew Thomas, Mia Alvar, Sam Lipsyte, Akhil Sharma, Julia Fierro, Saeed Jones, Dylan Landis, Jim Shepard, Rachel Cantor, Alexander Chee, John Leguizamo, and more. We are proud of our borough, and we highlight this in the format of the series: every reader is asked to share a brief personal anecdote about Queens before reading from their work for ten minutes. Most people, incredibly enough, seem to have some kind of story to share about Queens, even if they’ve never lived in the borough. We’ve also had some amazing writers, like J. Robert Lennon, write new stories just for the series based on research they’ve done on Queens. Our panel discussions are also pretty special, and they include a free raffle where audience members are eligible to win gift certificates from local Queens businesses if their question is chosen at random from the Magic Silver Box. In the winter months, our series is especially cozy because there is a working fireplace in the carriage house where our events take place. Finally, we have partnered with independent bookstore The Astoria Bookshop to sell our readers’ books at our events. The next LIC Reading Series is schedule for Tuesday, March 8, 2016 at 8 p.m. at LIC Bar and features John Leguizamo, Mira Jacob, and Tracy O’Neill.